An exciting four days of racing at the 2018 ECA Canoe Marathon European Championships in Metković, Croatia, concluded with men’s C2, women’s K2 and men’s K2 events. Vanda Kiszli – Sara Mihalik, Diego Romero – Oscar Grana and Adrian Boros – Laszlo Solti are the last recipients of gold medals at this European Championships. Last competition day in Metković brought exciting races in all events. The first race of the day was men’s C2 event where Spanish duo Diego Romero and Oscar Grana showed the best form to pick up the gold medal. In the finish line they had 15 seconds advantage over second placed Polish canoeists Mateusz Borgiel and Mateusz Zuchora. Daniel Laczo and Gergely Nagy from Hungary were third. 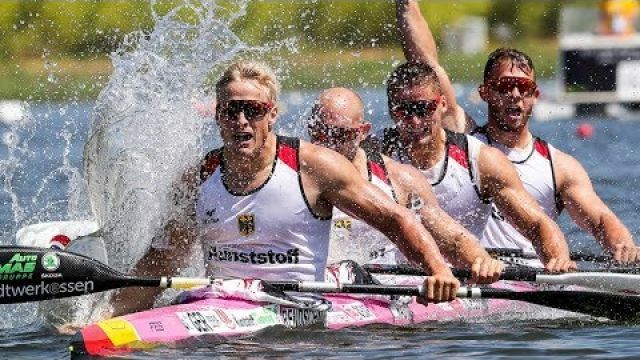 Before the last portage Romero and Grana already had enough advantage and their win was not endangered, but it was a tough fight between the Polish and Hungarian crews for the silver medal. The Hungarians received a 15 seconds penalty at the last portage which was a decisive moment in the race. They did, however, live the portage roughly at the same time, but Polish duo had a slight advantage and they remained in this position until the end. Last year’s European Champions Manuel Campos and Jose Sanchez were fifth this year. The last portage was the most important moment of women’s K2 event as well. Both Hungarian crews Csay – Bara and Kiszli – Mihalik and Spanish Barrios – Osaba finished the first lap together with big advantage over the remaining boats in the race. As the event continued all Hungarians paddled their own race and Spanish their own slightly behind. Just before the last portage Csay and Bara sped up and came to the portage in the first place, but they have experienced some troubles there and Kiszli and Mihalik who were not far behind took the opportunity to overtake them. Bara and Csay, who were defending their title from last year, tried to close the gap in the last short lap but failed. So, it was a gold medal for young Hungarian paddlers Vanda Kiszli and Sara Mihalik and silver for Renata Csay and Alexandra Bara. Eva Barrios and Amaia Osaba from Spain were third. Barrios won a bronze medal last year as well, but in a boat together with Aurora Figueras. “We knew portages are very long, so we’ve tried to save our energy for the running. During the first portage I felt it is long but good, we’ve just tried to stay with Renata, with them. I think our running was incredible so we could manage,” said Vanda Kiszli. The last event of the championships was men’s K2 race where paddlers competed in 29,80 kilometres long course, consisting of eight laps, six portages and one small lap. 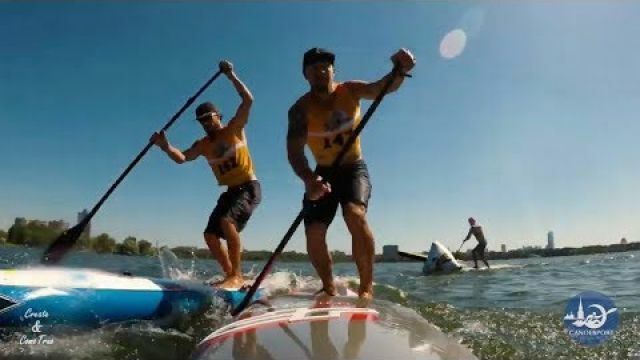 The defending champions Adrian Boros and Laszlo Solti came to the last portage with significant advantage, so they could paddle stresless in the last small lap. 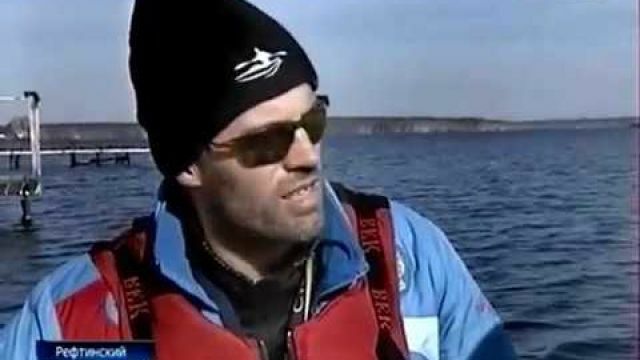 The won with 27,61 seconds advantage over French duo Edwin Lucas – Stephane Boulanger, while Spanish crew Jose Julian – Miguel Fernandez picked up bronze medal. The most successful team was Hungary with a total of 20 medals, 9 of them gold, five silver and six bronze. Spain finished second in the medal table with two gold and two bronze medals and Poland was third with one gold, four silver and one bronze medal. Fourteen different countries won medal this end of the week in Croatia. Next year the ECA Canoe Marathon European Championships will take place in Decize, France. The penultimate competition day of the 2018 ECA Canoe Marathon European Championships in Metković, Croatia, brought senior K1 and C1 events in women’s and men’s categories. Liudmyla Babak from Ukraine is the new C1 women European Champion, Antonio Manuel Campos was the fastest in men’s C1 race, Renata Csay won in women’s K1 race and Jose Ramalho in men’s K1 event. The legend of canoe marathon Renata Csay from Hungary did it again. She was the fastest in women’s K1 race of the European Championships in Croatia. In the final stages of the race she pushed really hard to create a gap between her and other competitors. At the end she had a little over a minute advantage. This is her 16th European Championships medal, 15th gold. Her compatriot Zsofia Czellai – Voros who already won the U23 European Champion title here in Metković this week was second and Lizzie Broughton from Great Britain was third. In men’s C1 race we have also seen a familiar face on the podium. Antonio Manuel Campos from Spain won the European Champion title and his 21st medal at European and World Championships. Rui Lacerda form Portugal was second and Jakub Brezina from Czech Republic third. “It was a pretty fun race and a little tactical at first. No one decided to lead, we had a big group of canoeists paddling together. 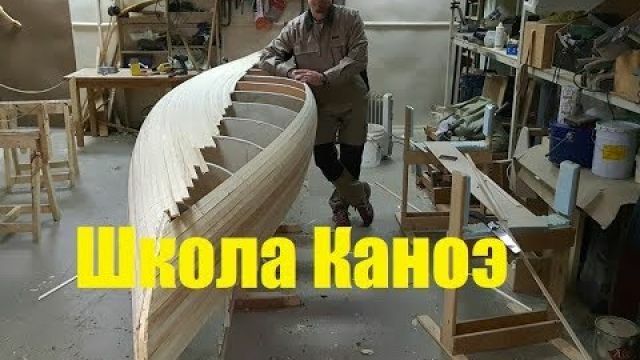 Until the first portage no one decided to collaborate. The decisive part of the race was when Portuguese and me decided to escape. We started to work together and paddle together. This is my 21st medal at European and World Championships. I’ll need to make a bigger house to store all the medals, but for this you always find place,” said Campos after the medal ceremony. In women’s C1 event Ukraine’s Liudmyla Babak confirmed the favourite role she had before the event started. She had a minute and 38 seconds advantage over Croatian representative Vanesa Tot who quite surprisingly took the silver medal. Another Ukrainian paddler Mariia Honcharova was third. Another exciting race was afternoon’s men’s kayak event. Jose Ramalho from Portugal defended his European Champion title. Furthermore, this is his fifth consecutive European champion title. There was a group of paddlers paddling most of the race together but Ramalho came to the last portage with a bit of advantage he was able to retain until the end. Two Hungarian paddlers joined him on the podium. Adrian Boros was second and Krisztian Mathe third.